Celebrate the King of Pop with this Michael Jackson trivia game. Commemorate his birth with an August party. Memorialize his death with a June event. Plan a dance party that highlights his music. Host a fan gathering to acknowledge his accomplishments. Or host an 80s pop trivia night. And in honor of the childlike spirit that MJ evoked, be a kid again and just have FUN! 01. How many Grammy Awards did the “Thriller“ album receive? 02. What is Michael Jackson’s middle name? 03. The Jackson 5 changed their name in 1975. What was their new name? 04. What was the title of Michael Jackson’s first solo album? 05. What is the name of the 1985 single Michael Jackson co-wrote with Lionel Richie to help raise funds for famine-relief efforts in Africa? b. Do They Know It’s Christmas? 06. What is Michael Jackson’s birthdate? 07. Michael Jackson wrote several songs while sitting in a favorite tree. What name did he give this tree? 09. What is the name of the single Michael Jackson wrote for Hurricane Katrina victims? 10. What was the name of Michael Jackson’s pet chimp? 11. What famous guitarist played on Michael Jackson’s “Beat It”? 12. How much did it cost to make the video for “Scream”? 13. In what year did Michael Jackson receive his star on the Hollywood Walk of Fame? 14. In which city was Michael Jackson born? 15. What role did Michael Jackson play in the 1977 musical “The Wiz”? 17. 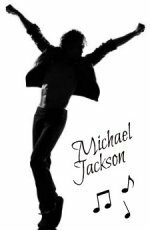 Michael Jackson contributed a song to the soundtrack of which movie? 18. How many #1 singles did Michael Jackson have throughout his career? 19. Which Michael Jackson video was recognized by the Guinness Book of World Records as “The Most Successful Music Video of All Time”? 20. In 1985, how much money did Michael Jackson pay for the publishing rights to the Beatles catalogue? BONUS QUESTION: How many tracks were on the U.S. release of the album “Thriller”? NOTE: Answers to this Michael Jackson Trivia are below. 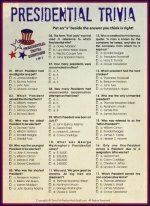 If you would like a printable version of this Michael Jackson trivia game, please contact us HERE! IMPORTANT: Since there are a lot of games on this site, please be sure to note in your request that you would like a printable copy of the Michael Jackson trivia game.